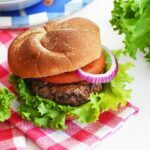 This Hearty Backyard Burger is simply seasoned and perfectly grilled to produce a juicy bite of heaven! You’ll never guess what else this burger is made with… Beer! It sound a bit weird, but it adds an amazing depth of flavor. We dress this burger with classic cookout toppings like sliced tomato, red onion, and crisp lettuce. One of my favorite parts of Summer is grilling. In fact, we love grilling so much that we even grill in the winter! My husband is not the only grill master in this home. He use to be the only one who would grill our meals, but as I watched him tend the grill, I got more confidence to cook over an open flame. You see, I once set the grill up in flames years ago and that really traumatized me! Thankfully, I have overcame my fears and am back at the grill! This past weekend, we celebrated the beautiful weather by cooking some brats and burgers. It was the perfect weather to crack open an ice-cold beer and grill some meat! I love burgers and Jared loves beer, so it sounded like a good idea to combine the two. I was inspired by the Hearty Backyard Burgers recipe from Giant Food Stores. 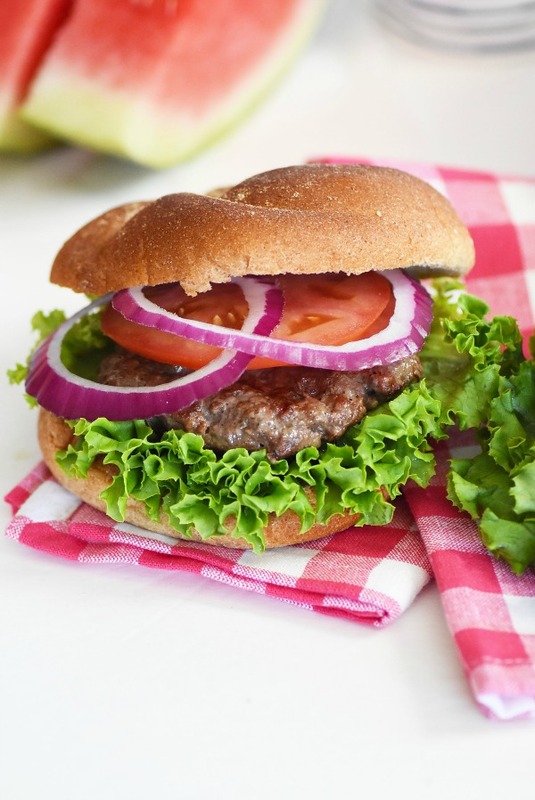 Their yummy burger recipe features hamburger meat that is seasoned with actual light beer, chopped onion, garlic, and Worcestershire sauce. 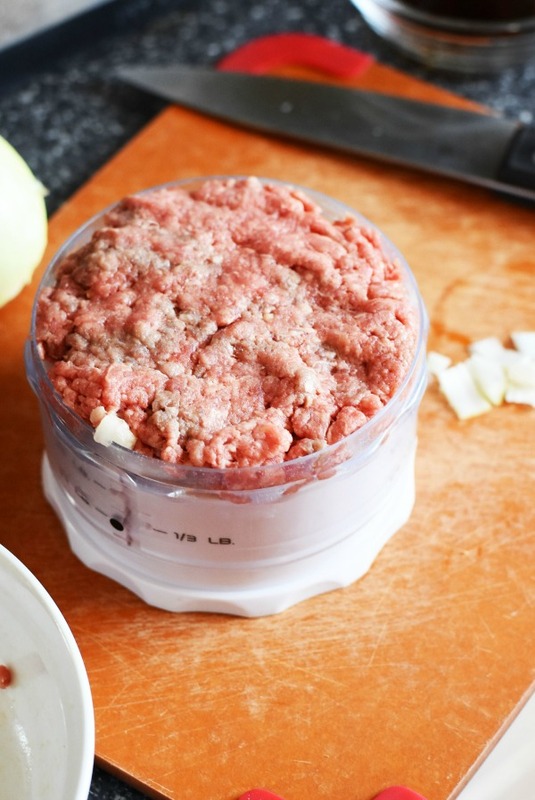 You want to portion out your ground beef for the amount of burgers you want to make. If making six 1/4 pound burgers, you’ll need 1-1/2 pounds of ground beef. 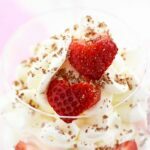 Place it in a large glass or stainless steel mixing bowl. Next step is to finely chop up a medium size yellow onion and mince 2 cloves of fresh garlic. Add the onion and garlic to the ground beef. Next, add the Worcestershire sauce, light beer and salt and pepper. NOTE: Salt and pepper are some of the most important spices you can add to any meat. Forgetting to add salt and pepper can mean all the difference between a bland dish and a flavorful dish. Mix all the ingredients together by hand. Mixing by using your hands is the most efficient way to thoroughly mix ground meat and ingredients like these. Pre-heat grill and make sure the grates are clean, and sprayed with non-stick grilling spray for easy cooking. 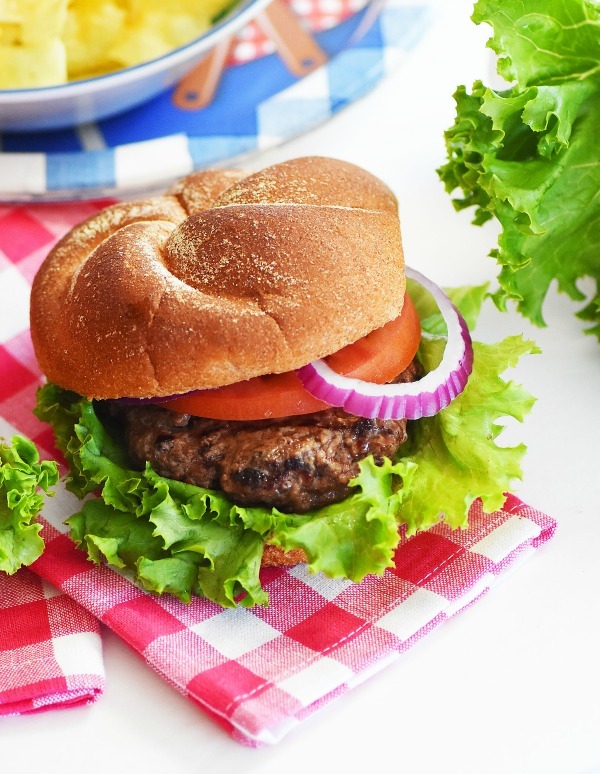 This Hearty Backyard Burger is simply seasoned and perfectly grilled to produce a juicy bite of heaven! 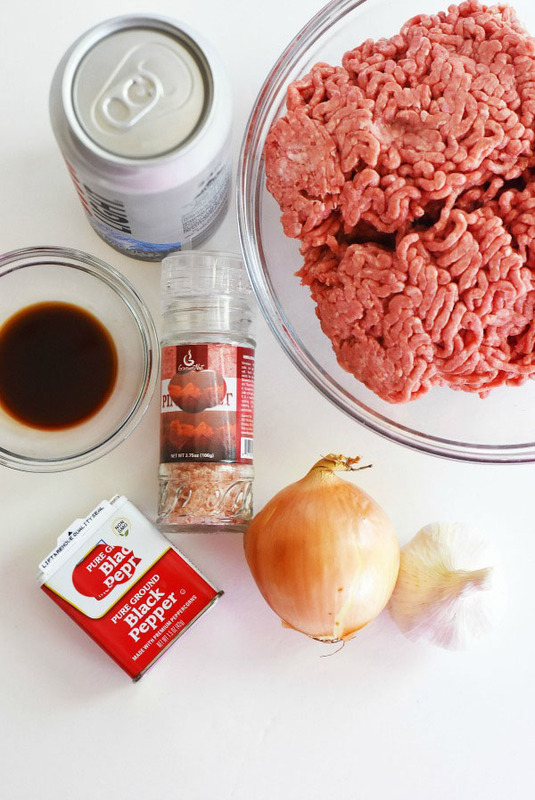 Light beer, onion, and garlic is mixed into the ground beef to add an amazing depth of flavor. finely chop up a medium size yellow onion and mince 2 cloves of fresh garlic. Add the onion, garlic, Worcestershire sauce, light beer and salt and pepper to the ground beef. Adjust your burger press to 1/4 lb setting and tightly press the burger ground beef into the mold. 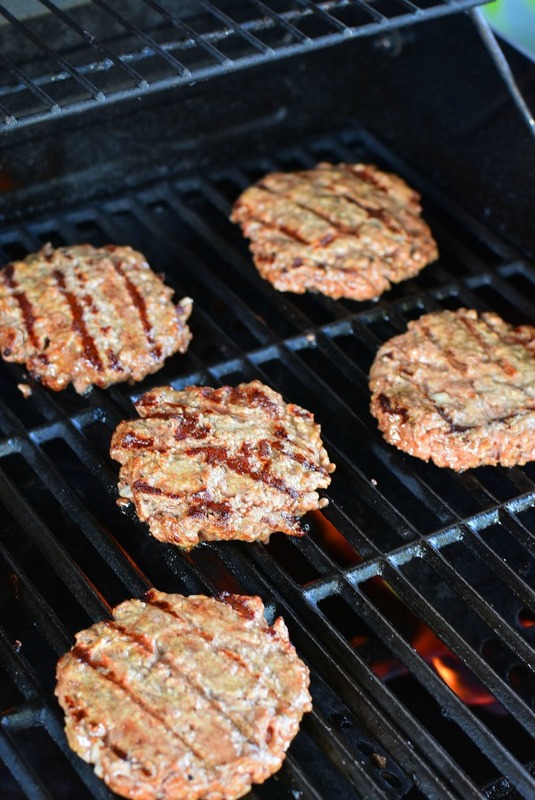 It’s important to tightly press the ground beef so the burgers hold together well during grilling and flipping. Pre-heat grill to high. Make sure the grates are clean, and sprayed with non-stick grilling spray for easy cooking. Place it into your favorite bun (we used bulky whole wheat buns) and top with your favorite toppings. 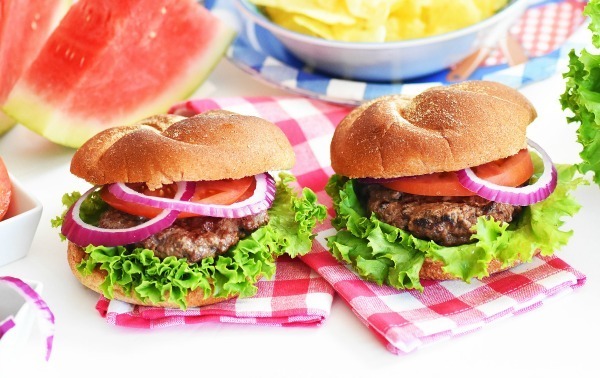 Enjoy these burgers with an ice cold glass of beer, or lemonade as I did. They also go perfectly with some fresh cut watermelon, and chips. I don’t know about you but I love chips with burgers! 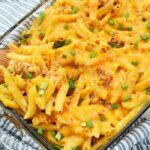 We also added some sharp cheddar slices to a few of our’s which made them even tastier! 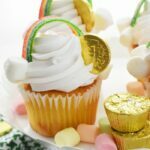 These desserts are perfect for a cookout! I would never have thought of using beer? And that burger press is so cool… I will have to try this recipe. Thanks so much for sharing. It looks delicious. That burger pictures is making me hungry!! We love grilling in the summer months. It’s easy and keeps the dirty dishes used to a minimum. We love burgers in our house! 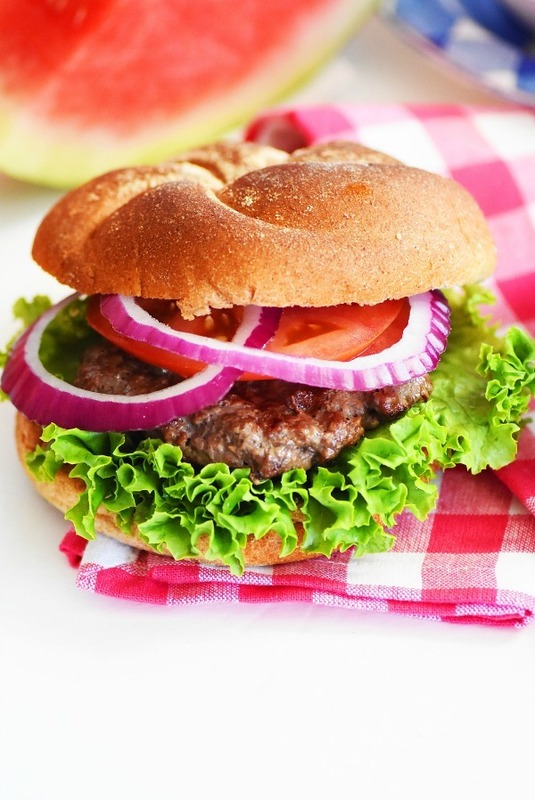 I love trying all sorts of different kinds of burgers, so these will be tried for sure! I have never put beer in it before!! I love having burgers. Yours looks really tasty too. I haven’t made them in so long though. 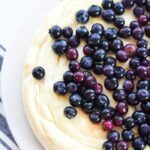 I need to get to making some soon! Well thanks a lot! Now I’m going to have to grill some burgers this weekend and fix this craving you started! My husband and I love discovering new burger recipes. We’ve got to try this one out because we swore to ourselves that we’d host more BBQ parties. I will be doing some grilling this weekend. 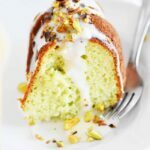 I am looking forward to trying this delicious recipe. I love to grill. I am always looking for new burger recipes to try. I will have to get the ingredients i need to make this for dinner this week. Those burgers look soo, goood, how did you get those pictures? We’re having a barbeque in a few days, and I sure am excited to have some good for then just like this. Okay. So I’m vegan and that burger look absolutely delicious! Excellent! The best part of summer is that it is BBQ season. Nothing beats food off the BBQ.